© & ™ 2015 Lucasfilm Ltd. All rights reserved. Used under authorization. Seeing Star Wars as a child was my first exposure to a space action/adventure odyssey and it opened my imagination to a whole new universe. As one of the most revered and established pillars of "geekdom," it’s since become a cultural phenomenon and influential touchstone for millions. But fans may be surprised to learn exactly what originally influenced the makers of Star Wars — especially in the way the characters looked and dressed. The new exhibit at EMP Museum, titled Rebel, Jedi, Princess, Queen: Star Wars and the Power of Costume, explores the direct connection between character and costume design, with nearly 60 costumes on show. Representing only a small fraction of the total costume collection, the exhibition team initially started with a list of their favorite 120 pieces then pared it down to 60 for practical purposes. “We have a narrative through the exhibition that helped us hone down the list,” says Laela French, Senior Manager of Archives and Exhibits at the Lucas Museum of Narrative Art. The exhibition is divided into nine parts that explore different themes or "chapters" spanning the six films. Physical clues inform the audience who characters are on a subtle (or not-so-subtle) level. The exhibition reveals what went into developing a look for characters and their archetypes. For instance, Han Solo’s Custer-style shirt and gun holster hearken back to a Western gunslinger. 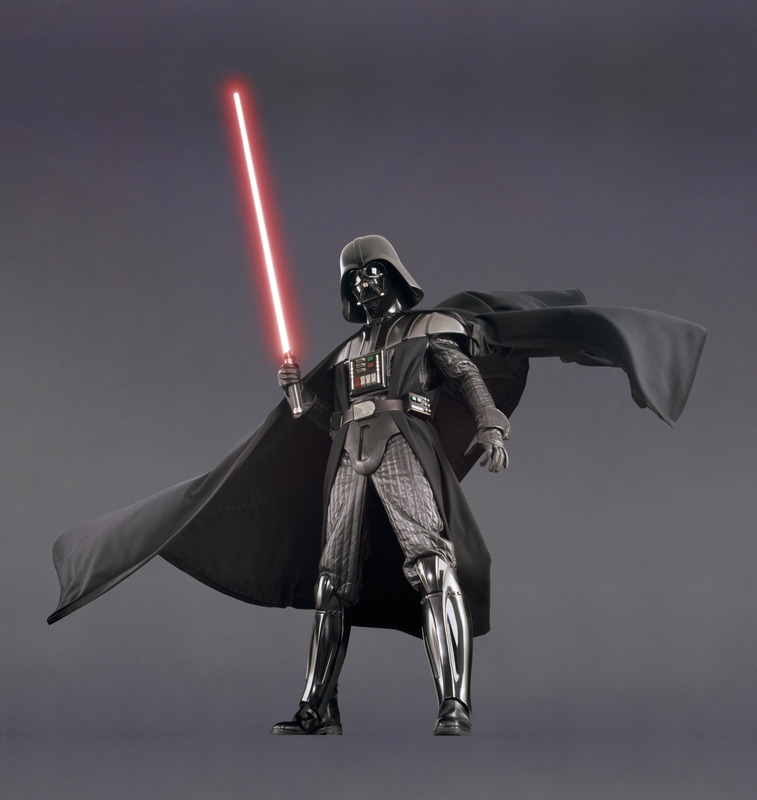 Darth Vader’s costume imparts a more complex persona: His Samurai-warrior-meets-World-War-II-Nazi helmet indicates an "evil enemy" and his motorcycle biker-esque pants and flowing cape denote a dangerous fringe element with a nod to the immortal. The mask, of course, conceals his face and ultimately his true intentions. “Great costumes make the archetype come to life,” said French. One of French’s favorite costumes is that of the female Jedi, Luminara Unduli, who is also a favorite character among young Star Wars fans. French thinks young fans will be surprised to see the costume detail and original inspirations for the designs. She also hopes the exhibit will inspire kids to “create their own universe” and to put as much effort into their passions as possible. In addition to the costumes, there are digital flip books (mounted touchpads with oodles of content), videos and slideshows explaining the creative process and a few opportunities to feel swatches of fabric. Production anecdotes and other interesting details are sprinkled throughout the exhibit to illuminate how designers pulled inspiration from every corner of the globe and throughout the timeline of human history to bring Star Wars to life. As an additional treat, a lush soundscape of iconic music from the films plays throughout the exhibition. The Smithsonian and Lucas Museum of Narrative Art chose to kick off this 12-city tour starting at Seattle’s own EMP Museum. This is the very first Star Wars exhibition solely devoted to the costuming and creative process of costume design. Many of the costumes are displayed without barriers so you’re truly able to appreciate the detail without any obstructions. “Even though this exhibition focuses on a very intellectual aspect of costume design, I think that any kid that’s already a Star Wars fan is going to be so psyched to be able to go up [close] to Darth Vader or Chewbacca,” said Jacob McMurray, Senior Curator of the EMP Museum. This show runs through early October and is a must-see for avid Star Wars fans or anyone who appreciates costuming. The exhibit is all ages but recommended for kids age 8 and older. However, it might interest kids as young as 5 who are already avid fans of the franchise or have an interest in costumes or fashion. But grade school-aged kids will likely glean more about the influences and craftsmanship that goes into costuming. 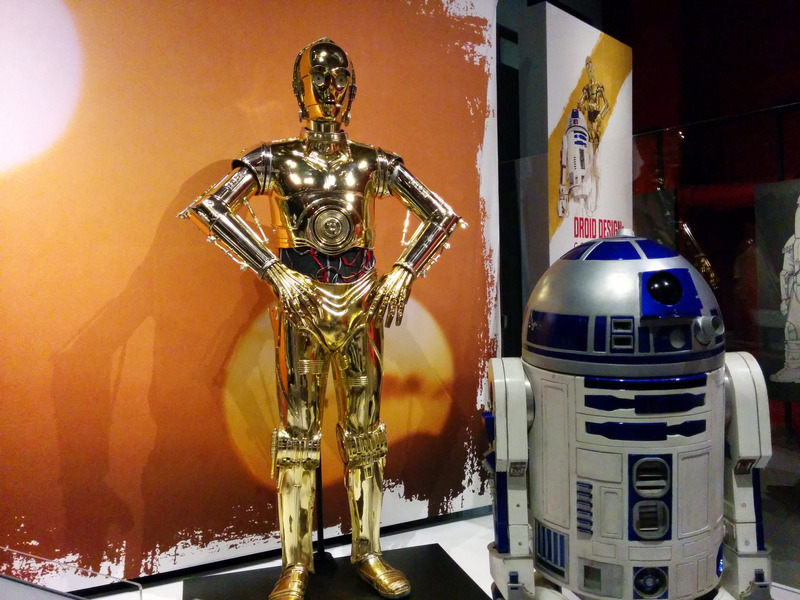 The Droids, C-3PO and R2-D2, Chewbacca and Darth Vader costumes are also on display and look as they do in the movies. The rest of the costumes are draped on faceless mannequins with supportive text and displays. "We like to say we design [these exhibits] for kids 8 to 80," said French. Where/when: The Star Wars exhibition begins its 12-city national tour at EMP Museum in Seattle and will be on view through Oct. 4, 2015. Tickets: Buy online. 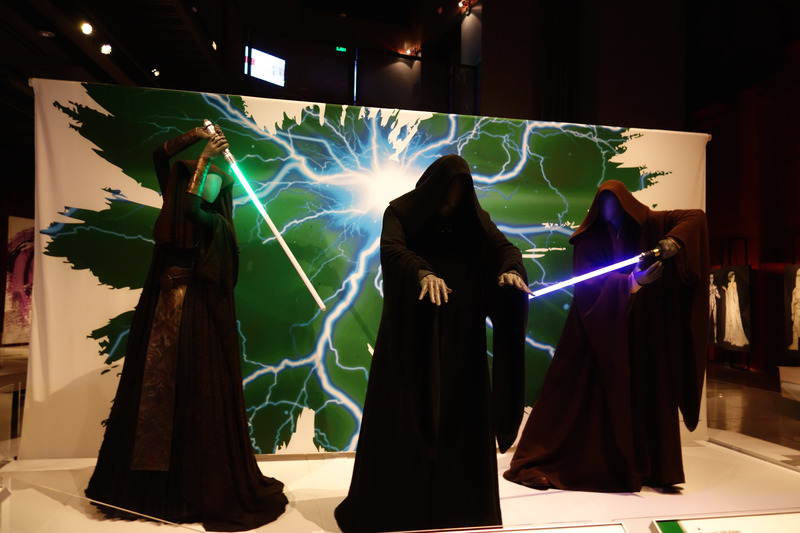 EMP admission + Star Wars and The Power of Costume combo tickets are $23 youth (ages 5 and over), $29 adult. Tips: Tickets are for specific timeslots and sell-out crowds are expected so book online to guarantee a spot. Trivia: See if you can spot specific costume influences from Elizabethan England, tribal Africa and the sci-fi classic movie Metropolis. Also look closely at the older costumes for use of "found objects,” like wooden toggles and buttons.